Dyeables Martina is a mid heel, dyeable sandal. 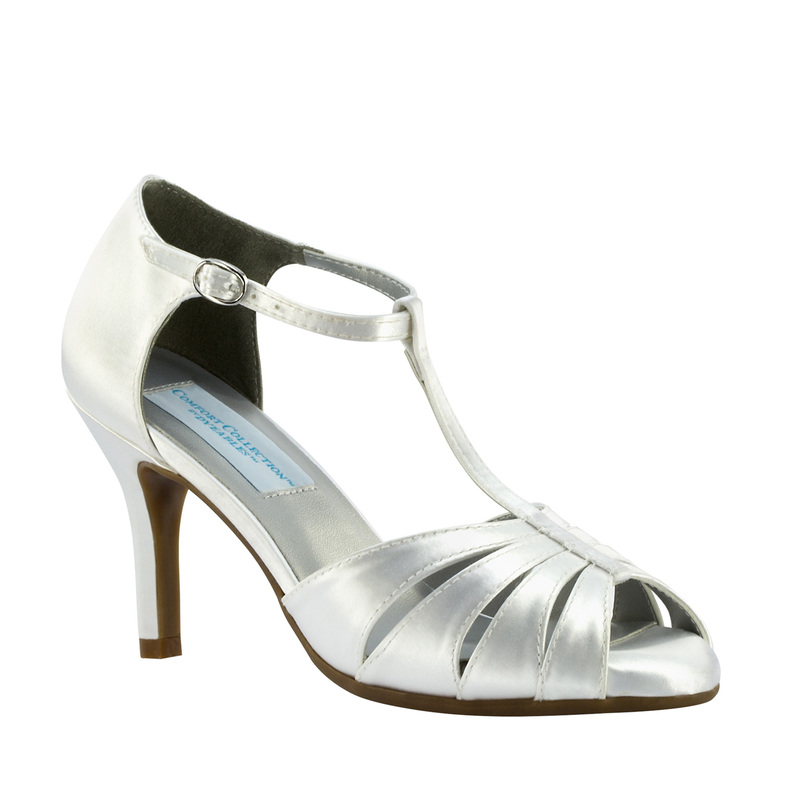 Martina has a strappy front and a simple t-strap up the front of the foot. It comes with generous padding for maximum comfort. 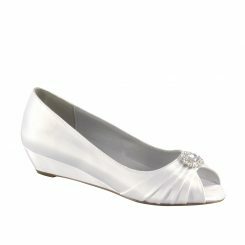 Martina is available in White Satin and sizes are limited! Dyeables Martina white satin is part of the Comfort Collection. There is extra padding in the toe area, giving the ball of the foot even more cushioning so that you can dance the night away. 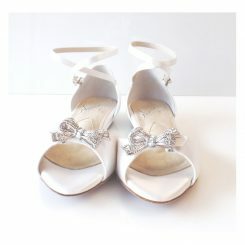 This t strap shoe is great for every occasion because you can dress it up or dress it down, and you will look fabulous. The closed back gives additional support to the heel, and the adjustable buckle on the ankle strap ensures that this shoe will not fall off your foot! Martina has four fabric straps that cross the front of the foot with cut outs in between, creating a very unique look. 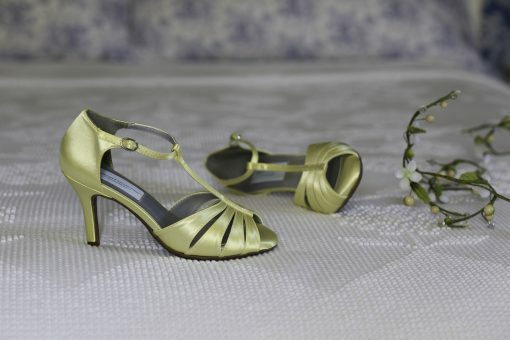 This shoe is custom dyeable to any swatch, dress, ribbon, or already made color that you wish to have for your special day.